The sun is shining, my friends! Ok, I guess this very moment it seems to be behind a cloud, but I swear it was out just moments ago. That is progress. With spring literally days away I feel so ready to welcome in the new season. You know I typically love cold weather, but for some reason this year, I have been dragging my feet through the last 2 months trying to scrape together some semblance of motivation to get stuff done. It has not been my finest time, I admit. But with the sun out and the smell of warmth in the air I am quietly optimistic that my energy and motivation will be renewed. Just in time for Easter, I might add. I have some great Easter recipes coming up in the next week and I am kicking things off with these adorable little Fruity Mallow Cups. When I was little, I would LOVE the marshmallow chocolate eggs that the Easter bunny would leave in my basket. You know the ones, right? They were my favorite Easter candy every. While I have zero interest in attempting to sculpt egg shaped candy, I did want to try my hand at making a homemade version of the chocolate covered marshmallow candy using my all-time favorite Campfire® EggSwirlers. 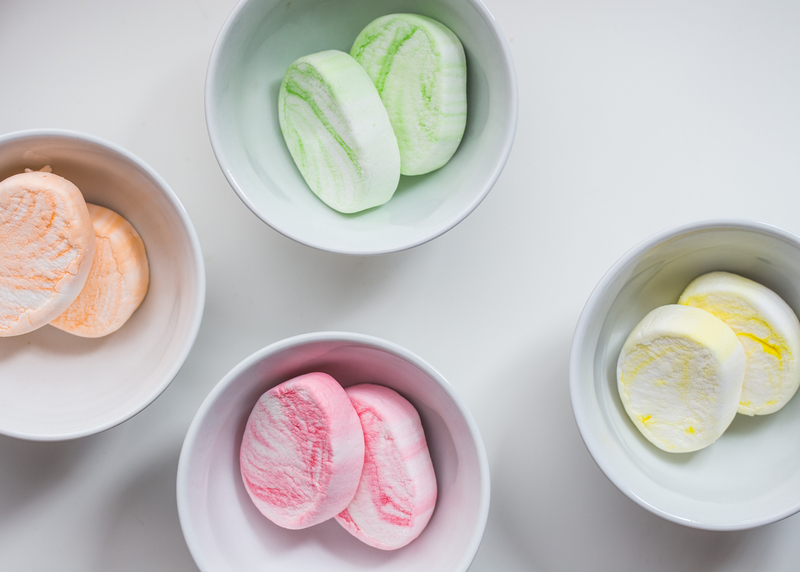 You guys might remember last year when I made No Bake Marshmallow Cheesecakes or in 2014 when I made Marshmallow Easter Eggs. 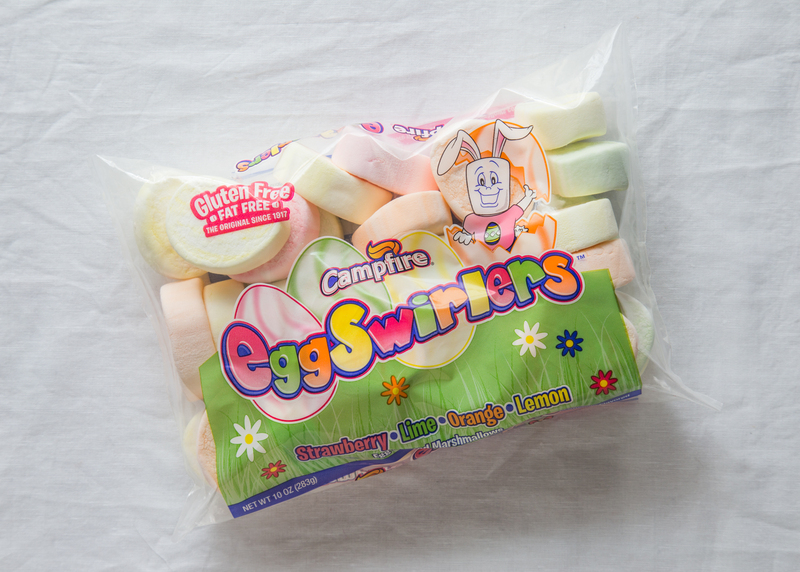 The fruity EggSwirlers are sweet, pillowy and full of fruity flavor. This year, they made the perfect filling for my homemade mallow cups! 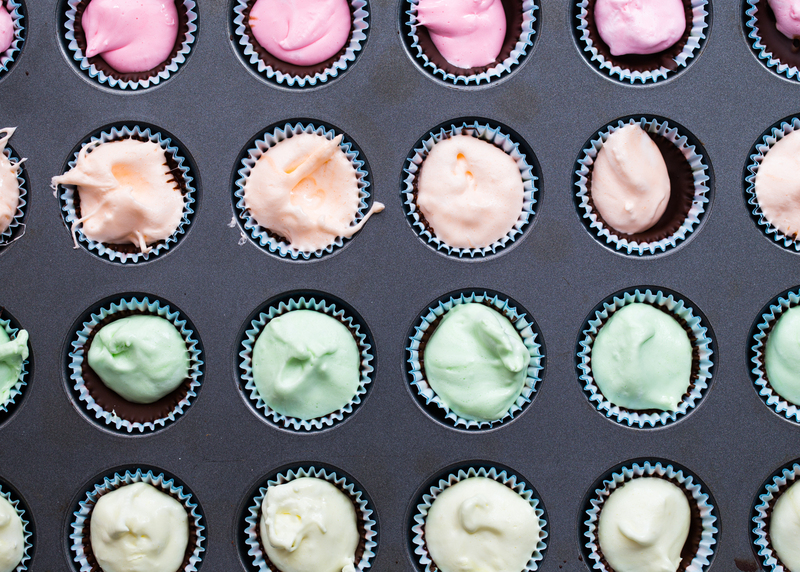 Use a mini muffin tin for bite size mallow cups. Take the time to spread the melted chocolate up the sides of the muffin liner. This will help create the cup shape that will hold the marshmallow filling in. When scooping the marshmallow filling, work quickly as the mixture can get a bit sticky. Also, do your best to keep the marshmallow in the center of the cup (I did a good job in the strawberry row – see photo – but not such a great job in the lime row – whomp whomp). 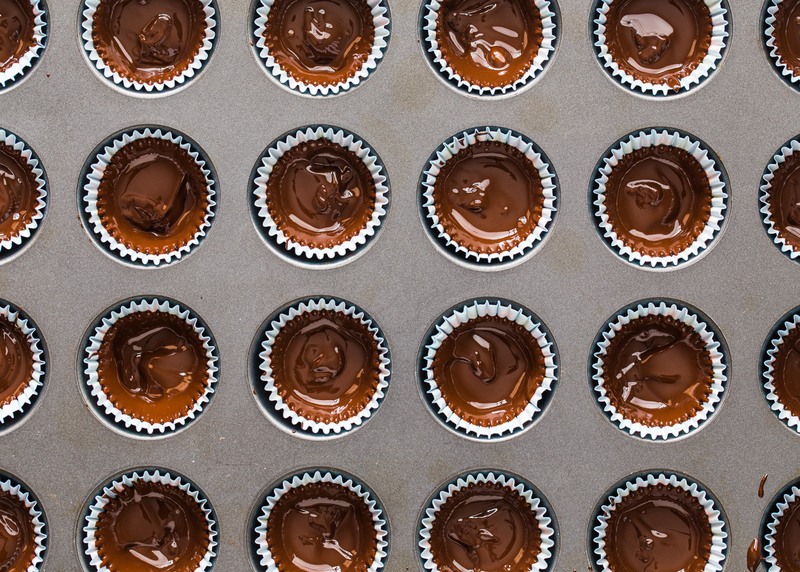 This will help the chocolate to completely cover the marshmallow filling and make for easy removal of the paper liners. 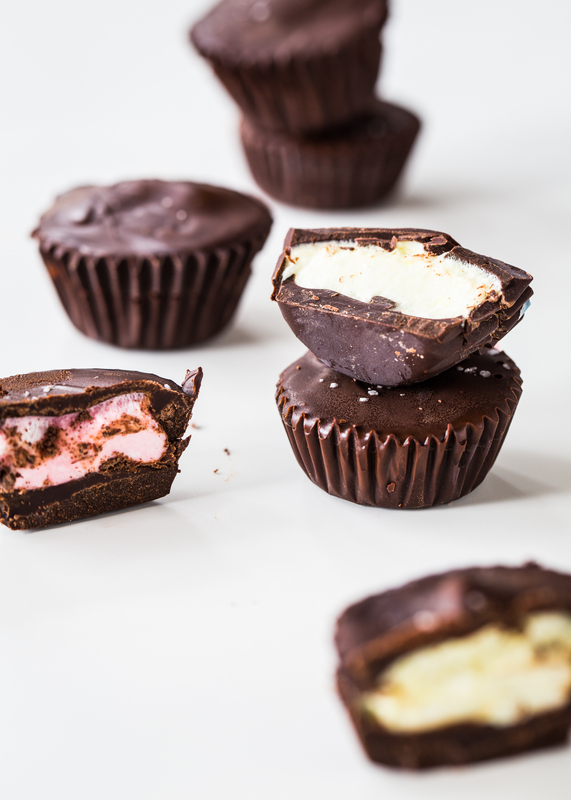 I love to finish these Fruity Mallow Cups with a touch of sea salt to balance the sweetness of the marshmallows and chocolate. The fruity EggSwirlers and the sea salt take this classic childhood favorite to a whole new level. Line a mini muffin tin with mini muffin liners. Place 8 ounces of the chocolate in a microwave safe bowl. Microwave on high for 30 seconds. Stir and repeat until chocolate is melted. 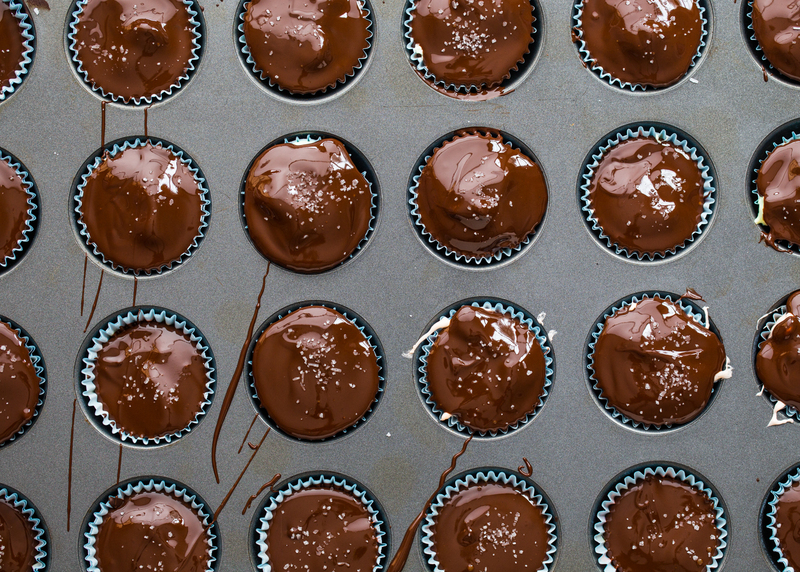 Divide the chocolate between the muffin liners (about 1 generous teaspoon per liner). 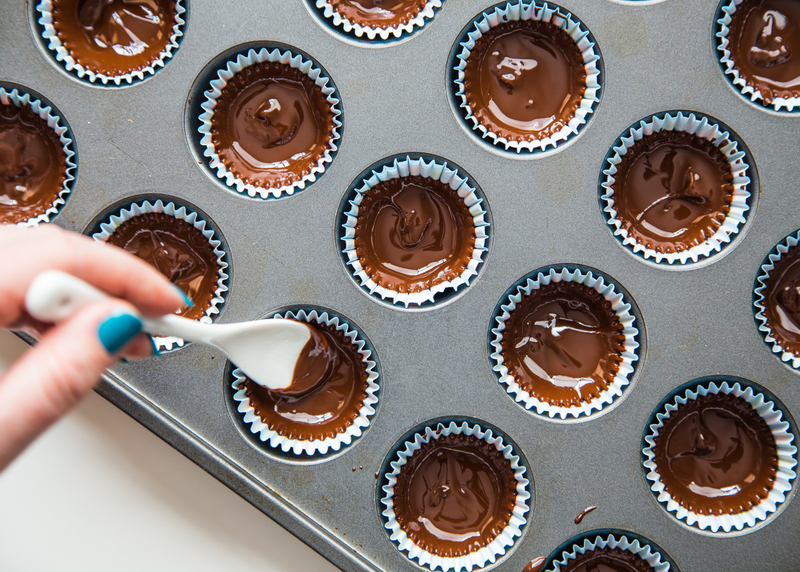 Using the back of a small spoon, gently push the chocolate up the sides of the liner. 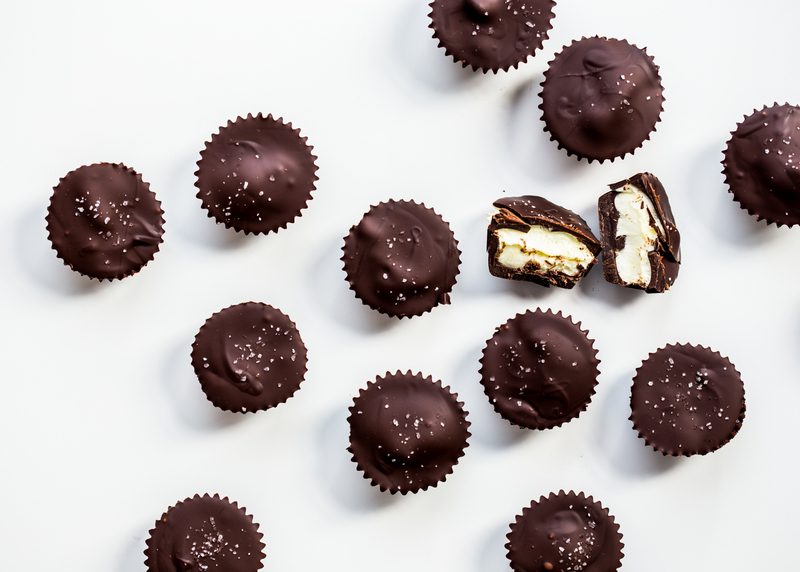 Allow chocolate to set at room temperature or chill for 5 minutes until chocolate is set. Place 3 strawberry EggSwirlers in a microwave safe bowl along with 1 teaspoon of corn syrup. Microwave for about 10 seconds or until marshmallows are puffed and melty. Remove and stir well. Working quickly, scoop marshmallow mixture by the teaspoon into 6 chocolate cups, doing your best to keep marshmallow in the center of the cup. Repeat with remaining colors. 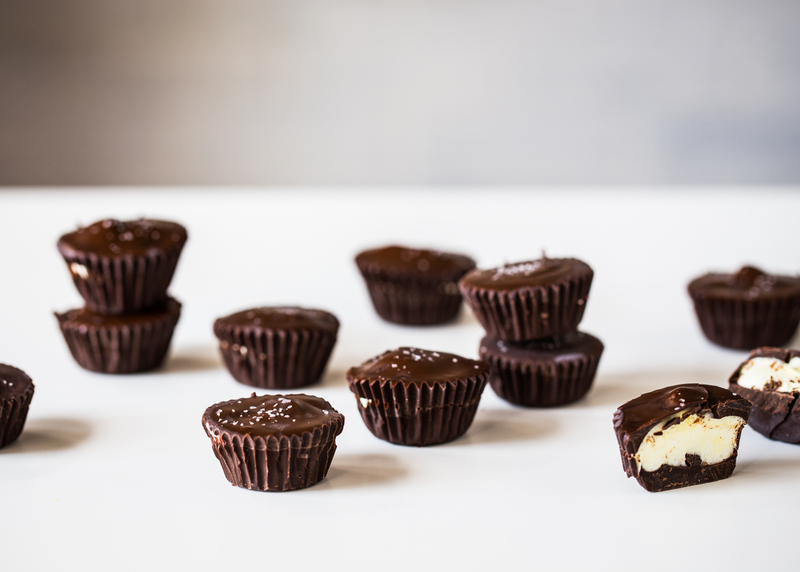 Melt remaining chocolate using the same method as before and divide chocolate over marshmallow centers of each mallow cup, doing your best to completely cover the marshmallow filling. Sprinkle with sea salt and allow to set at room temperature or chill for 5 minutes until chocolate is set. Carefully remove muffin liners and enjoy! These are gorgeous! I love chocolate and marshmallows. Your blog is utterly beautiful by the way. In love with your photography! !